Ukraine will terminate all direct flights from and to Russia from October 25, 2015, according to the Ukrainian Infrastructure Ministry's press service. The decision was taken by the State Aviation Service of Ukraine because Russia's Federal Air Transport Agency (Rosaviatsia) did not provide explanations why it had introduced a ban on Ukrainian airlines' flights. "In connection with the fact that the Federal Air Transport Agency of the Russian Federation (Rosaviatsia) has not provided explanations for the reasons for limitations on flights performed by Ukrainian airlines, the State Aviation Service of Ukraine has decided to terminate the air service between Ukraine and Russia starting from October 25, 2015," the press service said. The Ukrainian ministry said this restriction, which will be in effect until Russia lifts the ban on Ukrainian airlines, would be applicable to all Russian airlines. 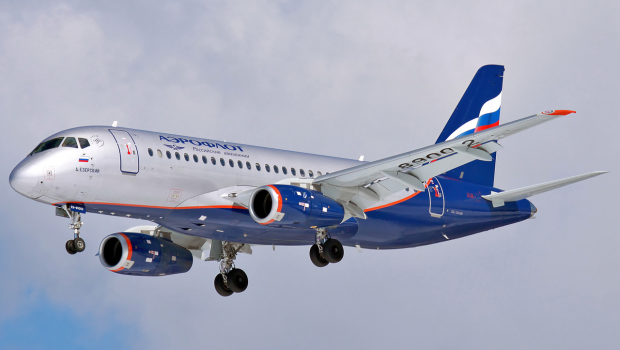 "After the Russian side cancels the ban [on flights carried out by Ukrainian airlines], the Russian airlines that are not on the Ukrainian sanctions list will be able to fly to Ukraine," the Ukrainian ministry said. The State Aviation Service of Ukraine notified Rosaviatsia of such measures on October 9, the ministry added. As UNIAN reported earlier, on September 25, 2015, Ukraine's Cabinet decided to ban flights carried out by Russian airlines, mainly Aeroflot and Transaero, to Ukraine. Ukraine also banned transit flights of Russian airlines through the Ukrainian airspace "if they carry defense goods, duel-purpose equipment, or Russian military personnel." The bans is becoming effective on October 25. The Russian Federation responded to Ukraine's move with retaliatory measures, barring as of October 25 the Ukrainian airlines from flying to Russia. Three Ukrainian airlines, namely UIA, Dniproavia and YanAir, have already received notices of restrictions on their flights to Russia. Ukrainian Infrastructure Minister Andriy Pyvovarskiy announced that the State Aviation Service of Ukraine on October 1 sent a letter to Russia's Federal Air Transport Agency, demanding the explanation of reasons for the introduction of Russian sanctions against Ukrainian airlines and clarification as for the number of Ukrainian companies that are subject to those sanctions.